During this evening, we were glad to welcome people from different countries, religions and social backgrounds. The attendants had the opportunity to live the reality of Moroccan lifestyle, through the eyes of a local, but also from the point of view of a Latvian. The Moroccan man, named Mo, made the evening colorful while he was showing us all the different places – houses, buildings, side-seeing – someone can find in Morocco and his home town Sadi. 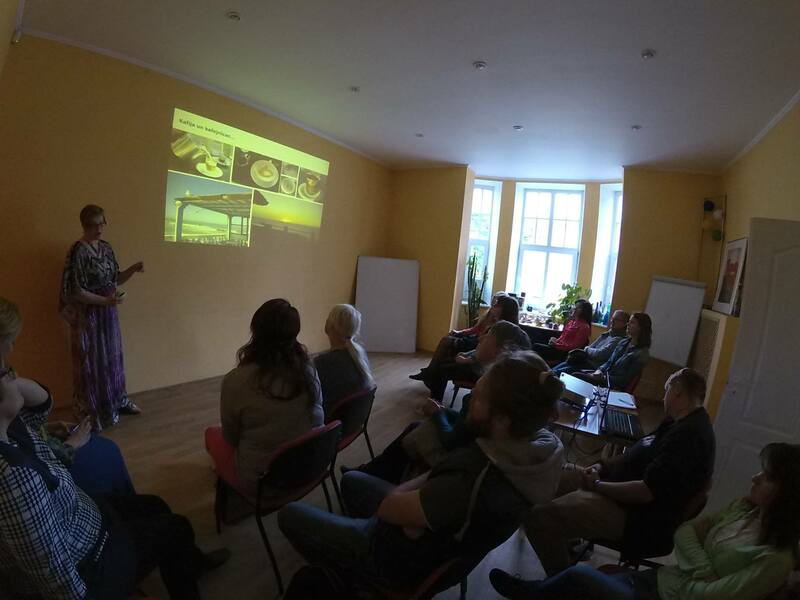 The latvian lady, Vita, she also shared her photos and her enthusiasm about the weather and the hospitality of the people. She was living in Morocco for 4 years and she shared with us how is to live in a country where they consider you as a “white” person, how to act in different situations, how your attitude towards others affects both sides, how to be open-minded and try to understand that how you see others is all up to you. If you choose to live in a different country, you do not necessarily need to change your lifestyle, but more like to adjust it to the culture and the way people live in that country, and the best way to do so, is to interact with locals. This intercultural evening was not only informative regarding the Arabic culture and traditions, but it was also an approach to how nowadays we live with misconceptions and criticize everything from only one side, usually the bad one, instead of the opposite. At the end after all the discussions, the main outcome was that we should not judge a book by its cover! Everything is up to the person, choose good attitude and that is what you will receive. And be open, to new experiences and challenges. The more you learn, the better, and you do learn something new every day, even though you may not realize it.